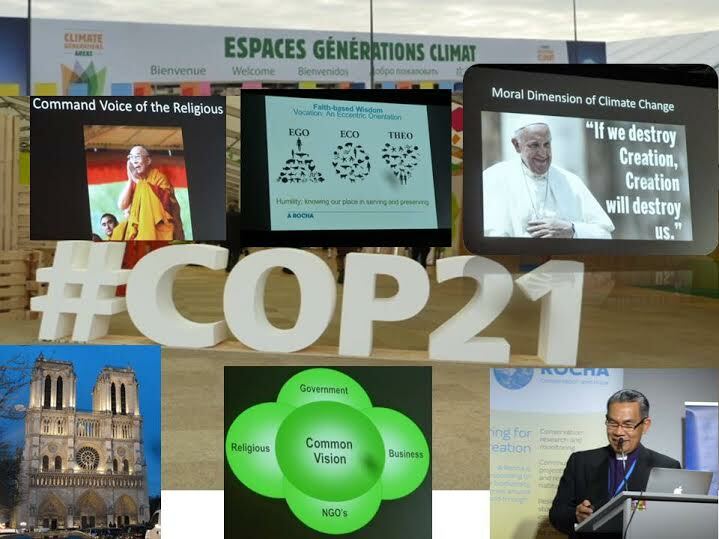 Sister Yolanda Sanchez is currently in Paris, attending the COP21 climate change conference. Here’s her update from the first week of the conference, along with lots of pictures. Many thanks to Yolanda for representing us all in Paris! Hermana Yolanda Sánchez se encuentra actualmente en París, asistiendo a la conferencia delcambio climático COP21 . Aquí está su reporte desde la primera semana de la conferencia, junto con algunas fotos. ¡Muchas gracias a Yolanda por representarnos todos en París! Sœur Yolanda Sanchez est actuellement à Paris, assister à la conférence sur le changementclimatique COP21. Voici son rapport à partir de la première semaine de la conférence, ainsi que quelques photos. Un grand merci à Yolanda pour nous représenter à Paris! 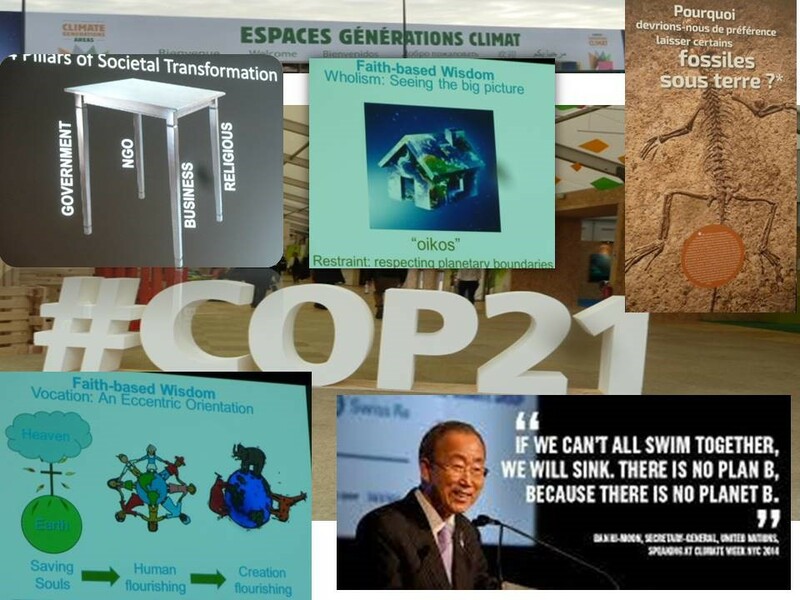 COP 21: Climate change, change of the system and paradigms. This is very important, but even more important to me because I am participating in the space called “Climate Generations” (this place gives civil society, NGOs and other participant a space to bring an alternative voice to this Summit). From this it is clear to see that there are many people with a deep commitment to climate change and to changing present paradigms regarding this. 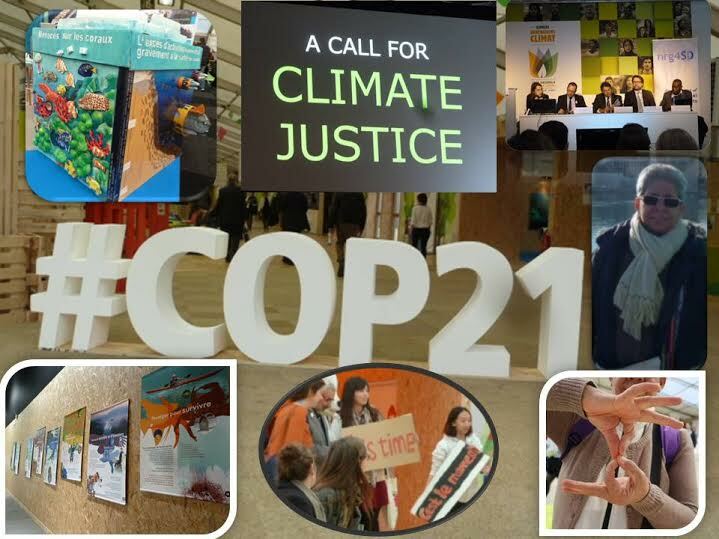 What I lived in this first week of the COP 21? I have signed petitions, I have heard about good practices and alternative initiatives being carried out not only in the developing countries but also in developed countries to reduce the impact of climate change in large and small cities; I have shared with many people who have come from all over the planet -young, less young, religious, people of all confessions- all animated with the desire to share experiences, express a concern in front of the indifference of Governments with regard to climate change and its consequences. Brothers and sisters of indigenous people have also brought their voices and concerns for the destruction of the land that they have inhabited for many centuries. I have also participated in prayer initiatives carried out, among them the Ecumenical prayer at the Cathedral of Notre Dame. With joy I see that churches have undertaken this COP 21 to also assume the challenges on climate change and its consequences, assuming the responsibility of taking care of “our common home”. What I have perceived in this atmosphere of COP 21? On the one hand there is a serious commitment of many people who have become aware that must not only speak of climate change but also a change of system, of paradigms, of ways to consume, and of behaviors. Development must never mean destruction of nature and its resources. Secondly, I see that the language of human rights appears in the text being discussed. It refers to respect, protection and promotion of human rights for everyone in all of the actions proposed for tackling climate change. And what is coming after the COP 21? Although this Summit is a turning point and an opportunity to make concrete commitments this is only a part of the solution. Many communities on the planet are still being threatened by the increase in the sea level, deforestation, natural disasters, and pollution of water sources, and there are whole communities in a situation of great vulnerability who will be forced to migrate. Many multinational companies are responsible for the current crisis in which these peoples are living. A serious and determined will by individual Governments at national level, with or without international agreement is needed to deal with all these situations in which real people are living. Someone said “we cannot wait to have an international agreement to start acting now and take action at the national level”. Personally, I think that it is also time to engage much more in advocacy work, lobbying, pushing government policies at nationally and internationally level responding to the needs of the people. In this first week of COP 21 I met many sisters and brothers who are already actively engaged in this. Finally I invite you to meditate, to deepen, and put into practice the teachings that Pope Francis brings us in the wonderful encyclical Laudato SI , it is a source of inspiration and guidance for all peoples of the planet. He invites us to act and to participate in the care of creation, accepting the challenge that he makes us in Chapter 6, number 203 and so on: Towards a new lifestyle – at all levels. Thanks Yolanda for this write up. This entry was posted in Climate Change, Climate Justice, COP 21, Environmental Justice, Uncategorized and tagged Climate Change. I hope that Good Shepherd can focus this all as to what it means of us in local settings. Can we craft a kind of corporate response?